When McLeod got to school that day, he quickly realized that he was the only one of his class bearing the symbol, but the young man was happy to entertain his classmates' questions about it. “A lot of students asked me what it is. I said, ‘I’m Catholic. It’s the first day of Lent. 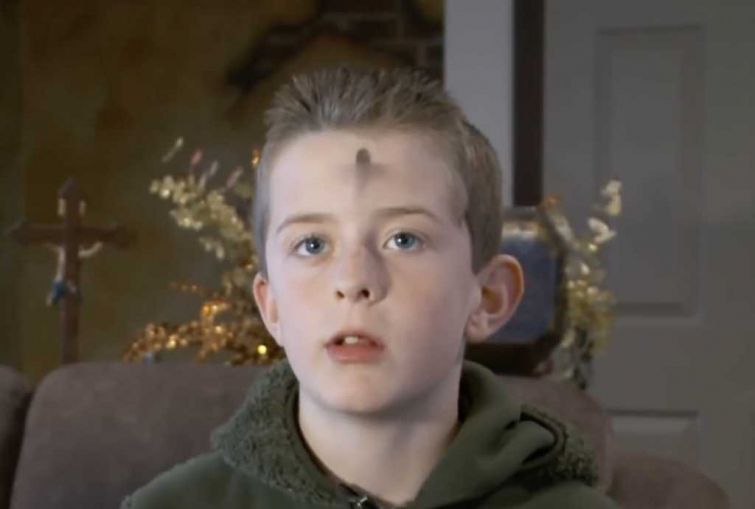 It's Ash Wednesday,’” William recounted to Fox 13. While his interactions with his peers seemed to be going fine—in spite of committing the academic capital crime of standing out and being different—McLeod's teacher abruptly marched over to the boy's desk and demanded that he wipe off the cross. To be clear, the adversarial attitude toward Christianity belonged solely to that particular teacher, as the administration has been quick to clean up the incident and offer apologies and investigations. In fact, upon learning of the incident, the school's principal made a call to William's family to apologize. “I asked [the teacher] if she read the Constitution with the First Amendment, and she said, no,” Fisher recalled in frustration. Had the teacher been aware of perhaps one of the greatest laws of the country in which she teaches children, she might have known that public institutions are prohibited from establishing or preventing the free exercise of anyone's religion. “Why that even came up, I have no idea,” said Chris Williams, a spokesperson for the district. “When a student comes in to school with ashes on their forehead, it’s not something we say 'Please take off.'" The district is reportedly "taking this incident seriously" and conducting an investigation. The teacher in question may end up facing disciplinary action. To be fair, she did later give the boy a handwritten apology and a bag of candy, so that totally makes up for the humiliating religious discrimination he received, not to mention the lesson his classmates learned: "religion bad, conformity good".